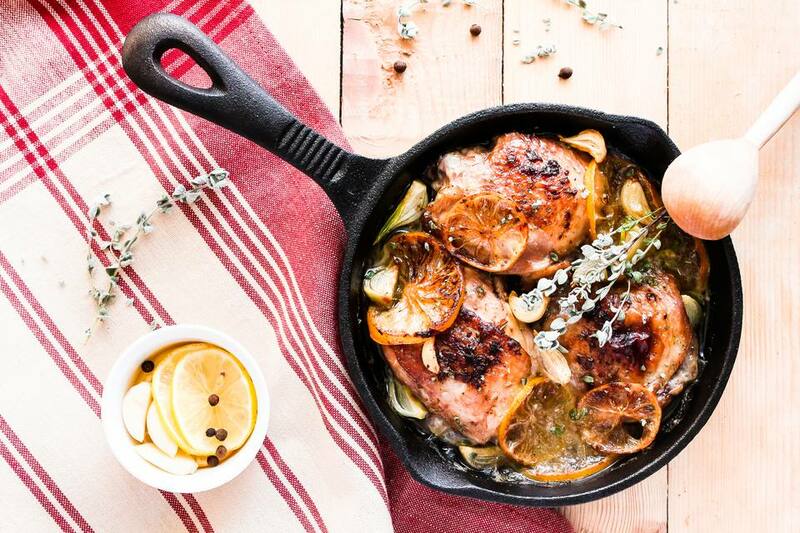 Boneless, skinless chicken thighs are pounded thin and cooked in a fragrant lemon tarragon sauce in this elegant recipe. Place chicken thighs between two pieces of waxed paper; pound with meat mallet or rolling pin until thighs are 1/4 inch thick. Combine flour, dried tarragon, salt, pepper, and lemon rind in shallow bowl and mix; coat chicken in this mixture. Heat butter and oil in large heavy skillet over medium heat. Cook chicken thighs for 2 to 3 minutes on each side until browned, removing chicken from the pan as it browns. Turn heat to high and add wine and chicken broth, stirring to loosen brown bits from bottom of the pan. Return chicken to pan and bring to a simmer; simmer for 5 to 10 minutes until chicken is thoroughly cooked. Add lemon juice, cream, and fresh tarragon; cook and stir for 2 to 3 minutes until hot. Sprinkle with capers and serve over couscous or hot cooked rice.